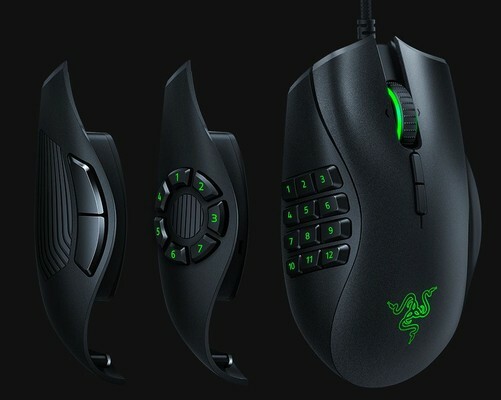 Review of the Razer Naga Trinity MOBA/MMO Gaming Mouse. After setting up Naga Trinity with our own preferences, we went ahead with testing it in games, but also productivity work; thanks to its wide chassis and shape, it is fairly easy to reach the configurable buttons and in our case we did feel right at home while using a palm grip. The DPI settings can be changed quite easily and Razer does also make use of the Hypershift function, for doubling the button mappings function found with other manufacturers as well, but with other names. The Trinity name is not there for nothing, you are practically getting a 3-in-1 mouse model. Razer Naga Trinity Mouse kaufen.